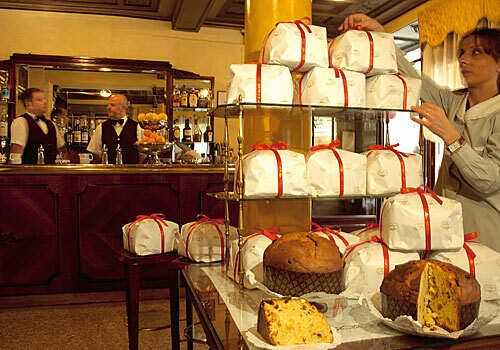 We know immediately when Panettone Classico by Marchesi has arrived in our warehouse. Its unmistakable “pasticceria” aroma is everywhere. Just baked and flown from Milano, it carries the delicious whiff of the good things it is made with: natural mother yeast, plumpy raisins, untreated citron peel, mountain butter, fresh eggs, flour and sugar. Nothing else. A classic masterpiece of moist, spongy, golden dough, raised to perfection. Mario Batali says that IT WILL BECOME YOUR ONLY PANETTONE, ONCE YOU TASTE IT.